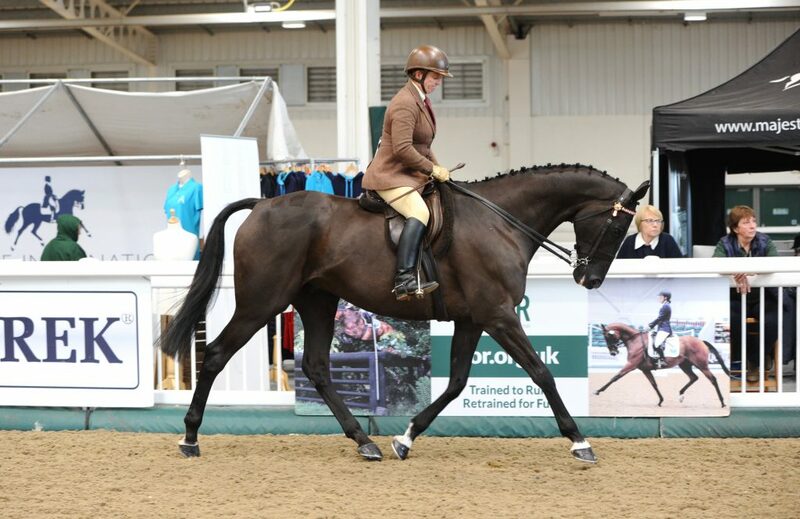 The fabulous former ex racehorse DON COSSACK ridden by Louise Lyons competed recently at the Retraining of Racehorses (RoR) National Championships 2018 at Aintreee. The former Gold Cup winner qualified to compete there having been reserve champion at the Tattersalls Retrained Racehorse Show Series 2018 in Ireland which was organised by the IHWT. The champion Un Atout and his rider Ali Clancy were unable to travel on this occasion. The Irish series hosted 8 qualifiers with the final taking place at the Tattersalls July show for a chance to win in the prize fund and for a chance to travel to Aintree to compete at the RoR National UK Finals. The series which was kindly sponsored by Tattersalls saw many former racehorses now re schooled having transformed into top showing horses, proving the adaptability of these intelligent athletes.